What Causes Migraines at Night? While sleeping off a headache or migraine is the key to relief for many, we hear from many clients who wake up in the middle of the night with migraine headaches. It is unfortunate when migraineurs are unable to seek refuge in the comfort of their own bed when migraines strike at night. The relationship between sleep and migraines is somewhat illogical— excessive sleep causes headaches, sleep deprivation causes headaches, sleeping relieves headaches and sometimes sleeping can cause migraines. How can sleep be a relief AND a culprit of migraines? It is not uncommon for migraines to occur during the night, sleep and/or upon awakening. The relationship between a migraine and sleep is complicated and requires a holistic diagnostic approach. But, new clinical evidence has shown some biological and lifestyle correlations to after-dark migraine timing. Read on to learn more about these interesting new findings and some ways to get relief from nocturnal migraines. As you may have read in some of our other blogs, the human body is a network of integrated systems under the influence of our circadian rhythm, or biological clock. Our circadian rhythm is based on the timed release of hormones in the hypothalamus (a part of the brainstem) triggered by various environmental and biological factors. As discussed in previous Engineering Radiance blogs hormonal imbalance can be a cause for a migraine, but another function of the hypothalamus is to control the REM phase of the sleep cycle. The emergence of migraine attacks in REM sleep has been polygraphically documented. Both sleep regulation and migraine generation appear to be located in the brainstem, and it is speculated that a strongly reduced misfiring rate in neurons during REM sleep may trigger migraine attacks. Too, if nocturnal migraine attacks are occuring at a consistent time of night, this further supports the migraine onset is controlled by a timing mechanism — the circadian rhythm. Some migraineurs report elation, irritability, depression, hunger, thirst or drowsiness during the 48-hour period preceding a migraine, which also indicates a hypothalamus origin of the migraine. Each person has a unique chronotype, or internal clock and rhythm, which biologically determines the time of day your body is best equipped (physiologically speaking) for activity or requires rest and sleep to recover. A desynchronization or impairment of your chronotype creates stress on your circadian rhythm and may attribute to the severity or frequency of migraine attacks. This could be as innocent as staying up late, jet lag or working night shifts. Your quality of sleep can also be triggering migraine attacks. Studies have found a correlation between poor sleep quality and higher migraine disability. Sleep disturbances, such as sleep apnea, is also linked with a higher migraine frequency. Addressing conditions like sleep apnea and strengthening circadian rhythm (a critical part of the 3-month Migraine Freedom program) are important to improving sleep quality. While nocturnal migraines can occur at any age, one study has discovered an increase of sleep-related migraines with age. Especially in those middle-aged or older. One interesting link to the occurrence of nocturnal migraines was drug withdrawal (prescription or recreational drugs). If your migraine frequently happen at night or wake you up, be sure to discuss that detail with your doctor so that they can rule out other conditions. Also be sure to address sleep apnea, snoring and other sleep disturbances. Review our Ultimate Sleep Guide for natural and holistic was to improve your quality of sleep. 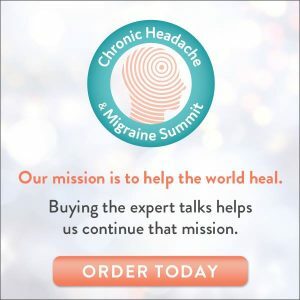 Migraine attacks are personal — an individualized and holistic approach to discovering the root cause of your migraine is essential for a real cure. 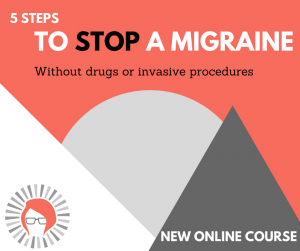 Migraine are symptoms themselves of deeper health issues, and the Engineering Radiance Migraine Freedom Plan is designed to eliminate your migraine headaches – not just treat the symptoms – by finding the internal stressors at the core of the issue. Book your first appointment with our team of migraine specialists here. Nighttime headaches: How can I get relief? I can it happened many times to wake up with a migraine either during the night or in the morning. I can’t recall if there was any symptoms before, I’ll have to take a look. But it seems to happen more often this year, lots of migraines and often no releases. What do you mean no releases? No apparent reasons? My migraines began when I was 36 years old. I am a male, 67 yrs old. After much research and many medical professionals both conventional and alternative, the consensus was that due to multiple head/neck injuries when I was young, my neck vertebrae are in bad condition impinging on nerves and blood vessels causing daily headaches and frequent migraines. My head pain nearly always gets worse as sunset approaches,getting worse as the evening goes on. It gets worse the longer I am laying down so that by morning, I feel the full extent of my headache or migraine. Thanks for sharing Anje’ – that’s a whole other reason for nighttime headaches we didn’t consider… would you attribute that pattern to the strain and impinging wearing on you more throughout the day such that it triggers a migraine to start by evening time? Thank you Erin for the very insightful and meaninful links. I certainly can relate to the unforgiving dreaded migraines. I have suffered chronic, migraines for about 7 years. Mine tend to come on by the weekends. Luckily I have found medication that works. I am extremely interested, especially in the nocturnal migraines. Thanks Audrey! Do your sleep patterns change on the weekends vs week days? Thanks for sharing your story Janet, I’m sure many will be interested to hear that Cefaly helped you with these, too! This was really fascinating. Although I have had migraines mine were never triggered this way. But this is really useful information to have and I will definitely keep it in mind when working with clients. Yes, I relate! In the last few years I’ve gone from a more “normal” type of migraine to nocturnal migraines. I might feel totally fine or just a slight headache when I go to bed, but I sometimes wake up in the middle of the night thinking my head is hurting a little – but I’m always too tired to get up and take ibuprofen – and I stay in bed. By morning it’s much stronger and then when I stand up I realize “oops, too late”. Once I realize this is a migraine and not just a headache, I cannot take anything or it just comes right back up. And I’ll be down for the day or sometimes as much as three. Thanks Erin for all of your wonderful information here and through the migraine summit. Hi Cherise, thank you for sharing your story and for being here with us since the summit! It sounds like if we could get you a few things to keep by your bedside – ginger, magnesium cream, etc we could get ahead of those ones that turn into migraines. Email me if you want to discuss more – would love to help you figure this out! More and more of my migraines seem to come at night. There is about a week of my cycle where I tend to wake up every night with headaches-sometimes they escalate into full migraines and sometimes they get better after some food and coffee. I am a good sleeper so I don’t think it’s related to sleep quality. I’ve often thought that it’s because the body is balancing hormones during sleep and when it has that excess estrogen to deal with, it triggers a headache. Hi Erin…yes, I can definitely relate to this! At age 40 I started waking up at 3:30 am with a headache over the left or right eye. They occurred 10-15 times per month and alternated sides. I am now 68 and still have headaches nearly every night now, though not as severe. They do not seem related to any particular foods or activities. I have tried many treatment modalities, both conventional and unconventional–all without success. Have used indomethacin for many years and also Excedrin, but am now getting some success with Stopain Migraine and Doterra Deep Blue topicals, but only when applied at very early onset. Am thinking about trying Cephaly at this point. Thank you for looking at this more closely as there seems to be little research and info relevant to these nocturnal headaches. Erin, thanks so much for sharing this information! These night-timer’s can be so debilitating! Hello, Erin. I have suffered migraines since I was 19 years old. I am now 50. They are not as frequent as they once were, but I continue to manage head pain 30+% of the month. I, too, have been going to the same neurologist for over 15 years and no one has ever mentioned nocturnal migraines. I currently take a low dose anti-depressant and a high blood pressure pill daily for prevention. With the onset, I usually start with 3 Ibruprophen, then Amerge if that doesn’t work with an hour. The Amerge is usually affective for up to 12 hours. I need to be done with all the medications and recovery time. Recently, I have face and hand numbness, left side only, that coexist with the migraine. Do you have any ideas what could cause that? I have had nerve studies done, nothing found. Thank you so much for this information. Hi Gina, we’d be looking for causes of inflammation that are making the situation worse and addressing the inflammation at the root cause (for example, by improving gut health). Feel free to email me directly at erin@engineeringradiance.com if you’d like to talk with our team about this kind of investigation and the typical things that we end up finding in cases like this. I’ll help you get a call set up! Migraine Migraine Causes What Causes Migraines at Night?